Australia’s dairy battle needs cheap debt to stack up. Three bids in as many days for Australia’s Warrnambool have lifted the price tag above A$500 million ($469 million). Local cost savings and projections of China’s thirst for foreign milk help justify the frenzy. But the investment case rests on low borrowing costs. On the face of it, the bidding war has become detached from financial reality. Warrnambool is forecast to earn A$20.75 million in the year to June 2014, according to Eikon. At the A$504 million price tag the bidders have put on the company, that implies a return of little more than 4 percent. It’s tempting to assume that increased Chinese demand for foreign dairy products will translate into higher earnings for Warrnambool. Euromonitor expects 16 percent annual growth for overall dairy in China to 2018. But other competitors are also vying for that market, and the Australian company’s exports to China are still small. Local bidders Bega Cheese and Murray Goulburn have the advantage that they already own respective stakes of 18 percent and 17 percent in their target. They should also benefit from cost savings: Bega reckons it can squeeze an extra A$7.5 million before tax out of Warrnambool in the first year of ownership. Put these two factors together and Bega’s projected return on investment rises closer to 6 percent. 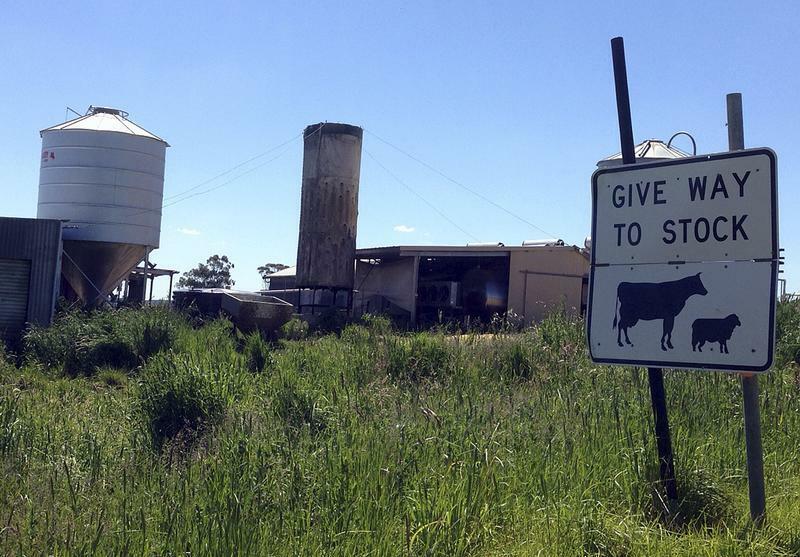 Murray Goulburn has not put a figure on cost savings – presumably to minimize scrutiny from Australian competition authorities who still have to approve its offer. Without a pre-existing investment in Warrnambool and lacking obvious synergies, Canada’s Saputo appears to be at a disadvantage. But its secret weapon is access to cheap financing. The company’s interest costs over the past four years are just over 5 percent of its net debt. That gives its wholly debt-funded offer the advantage over Bega, which is paying mostly with its own shares, which carry a higher cost of capital. The risks for Saputo are that interest rates rise and Chinese demand disappoints. But as long as the company is able to borrow cheaply, its pursuit of Warrnambool may not be as reckless as it seems. Saputo announced a new offer of A$9 per share for Warrnambool on Nov. 15. It was the third bid for the Australian cheese group from the Canadian dairy giant, which launched its first offer of A$7 per share on Oct. 7. Saputo is competing with smaller Australian dairies Murray Goulburn and Bega Cheese, which both own stakes in Warrnambool. Bega owns some 18 percent of Warrnambool, while Murray Goulburn owns about 17 percent. On Nov. 15, Warrnambool’s board recommended shareholders accept Saputo’s revised offer barring a superior proposal. “The board’s recommendation reflects the increased cash consideration offered by Saputo and the compelling timing and execution certainty that it provides particularly compared to the highly conditional Murray Goulburn proposal,” said Warrnambool Chairman Terry Richardson. Murray Goulburn raised its offer to A$9 a share on Nov. 13, though its bid is dependent on approval from Australian competition authorities. Bega on Nov. 14 increased its offer to 1.5 of its own shares and A$2 in cash for each Warrnambool share, and declared the bid final. On Nov. 19 at 1:45 p.m. Sydney time (0245 GMT), Bega shares were trading down some 2.5 percent to A$4.66. This implies its offer is worth A$8.99 per Warrnambool share. Warrnambool shares were down slightly to A$9.21. The three-way takeover battle has caused the company’s shares to more than double in two months.